Are Pension Funds Getting Smart About Passive Investments? 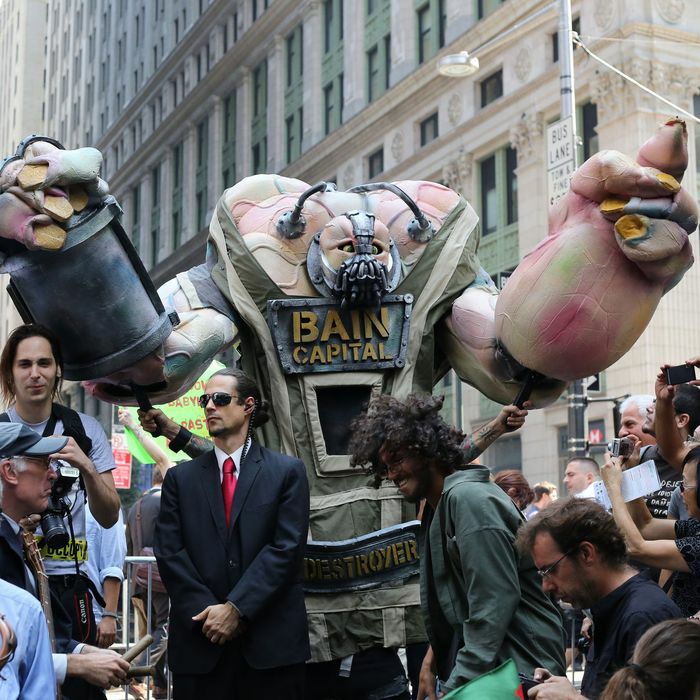 If pension funds go passive, Bain Capital could be doomed. Pensions & Investments ran a story yesterday about how the California Public Employees’ Retirement System is considering moving to an all-passive portfolio. You probably didn’t read it, because stories about pensions are boring. But this story only looked boring. In fact, it was probably the most important Wall Street development you’ll read this week. It’s an undeniably good sign for people who care about the retirement funds of teachers, firefighters, and other public-sector employees. And it should strike terror into the heart of every hedge-fund manager and private-equity executive in midtown. The backstory is that, for many years, public pension funds have had a love affair with so-called “active investments” — basically, hedge funds, venture capital funds, private-equity funds, mutual funds, and assorted other outside money managers who charge a fee for managing other people’s money. Every year, pensions plow more and more millions of dollars into these funds, hoping for better returns than they could get by buying low-risk index funds and exchange-traded funds on their own. They’re happy to pay through the nose for the privilege — most alternative asset managers charge at least a 2 percent management fee and 20 percent of profits — under the assumption that since these complex, active investments make better returns than simple, passive investments, the fees are worth it. Over the past 10 years, just 38% of large-cap-equity managers have beaten the S&P 500. Over five years, it shrinks to 31%, and over three years, it is just 18%, according to Morningstar Inc. Making things even harder for those trying to pick active managers is that just 9% of large-cap managers outperformed the S&P 500 over all three time spans. Private-equity firms and hedge funds, in particular, tend to love pensions, which typically provide a majority of the money they manage. (In fact, many private-equity firms and large hedge funds couldn’t exist without pensions.) But they haven’t held up their end of the deal. Start with their subpar returns, and subtract their onerous fees, and you get a very bum deal for the average pension fund. But CalPERS — a large and influential fund, which can act as a Pied Piper for lots of smaller pensions — is waking up to the fact that it’s paying too much to active managers and not getting enough in return. After years of pushing for lower and lower fees from the private-equity firms and hedge funds who manage its money, CalPERS is considering saying, “You know what? Nevermind,” and giving up on active management altogether. This would be a good thing! Most pension funds should not be in the business of selecting active managers, and I would cheer any pension fund that followed CalPERS’s example and put more of their money in index funds and passive bond funds. Risky investing isn’t always a bad thing, and it’s true that some private-equity firms, hedge funds, and mutual funds have done well for their pension investors. But if they want to handle the retirement money of America’s retirees, these firms have to prove they’re worth the fees they charge. And so far, they haven’t measured up.